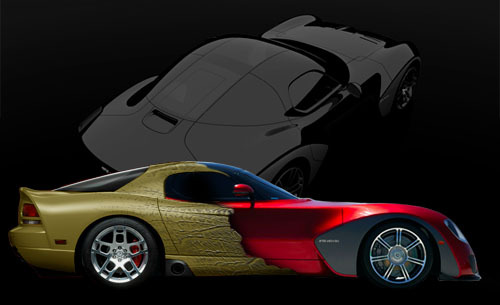 COACHBUILD.com - Devon GTX going down with Viper? Devon GTX going down with Viper? A while ago we reported about the wonderful Dodge Viper-based Devon GTX, which was introduced during the '09 Pebble Beach Concours d’Elegance. 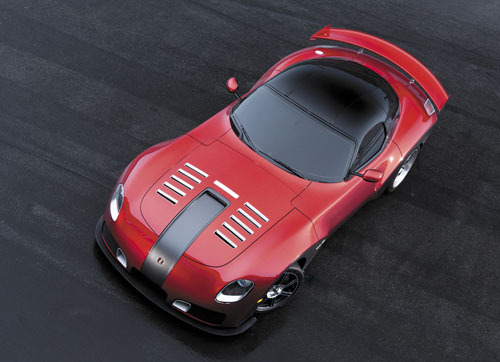 After the Viper brand went on the market, Scott Devon had made three different offers to buy Viper, which were sadly rejected by Chrysler CEO Bob Nardelli. Devon's production plans for the GTX may be in jeopardy, now that the Chrysler-Fiat Group have decided to kill the Viper. The GTX coupe has been developed and made available in two versions: a standard road version ($500,000.-) and a track-focused variant ($525,000.-). Devon's initial plans were to produce 36 cars each year, which were to go on sale in the first quarter of this year. Devon spoke earlier about having commitments for 10 cars and he hoped to build six by October '09 and three per month after that, regardless of how the Viper deal shakes out. Automobile blog Inside Line had learned from California-based Devon Motorworks that, although the situation is grim, Devon is still hoping to purchase enough parts and tooling from Chrysler-Fiat to build its supercar in limited numbers. We've asked Devon Motorworks for a reassuring comment, but we're still awaiting an answer. Keep you posted! In the meantime, you could start considering to offer your own Viper as a donor. Another sad development for Devon Motorworks is that their Laguna Seca track record, set by Justin Bell, has recently been broken by Chris Winkler behing the wheel of a... Dodge Viper SRT. Click here to see more images of the Devon GTX.